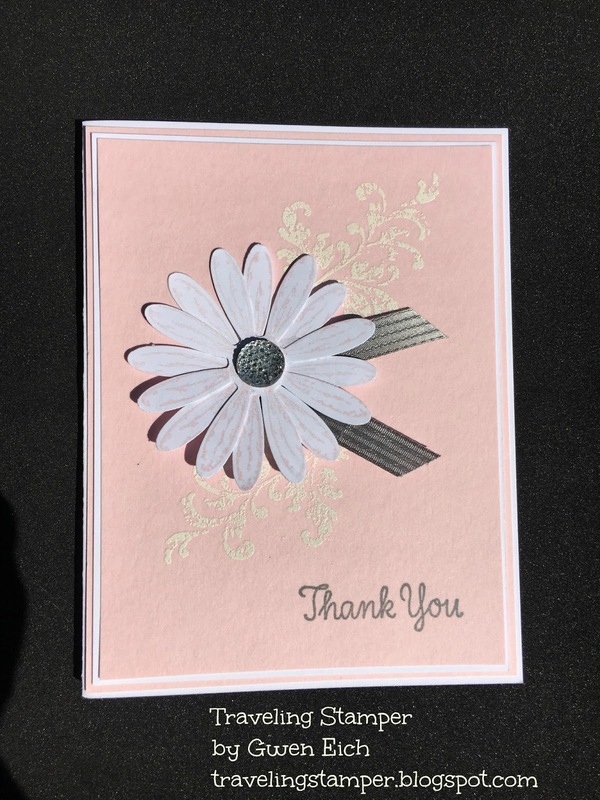 There is just something about pink and gray that makes a card shine. I just love that color combination. That is what inspired me to make this card. This is another quick and easy card. The hardest part of this card is remembering to use your embossing buddy on the paper before you emboss. lol. I embossed the flowers on the background in white and used the basic gray for the sentiment. 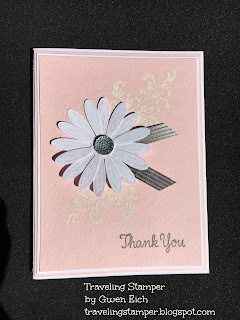 Stamped two daisies in Pink Pirouette, glued them together to look more full. Added a gemstone to the middle, added a small piece of gray ribbon and you are done. Click here to be directed to my online Stampin Up store to purchase any of the products used to make this card. Please use hostess code EMPDFX4F, if your order is less than $150.00. If your order is OVER a $150.00 No need for any hostess code.